Sartle.com, San Francisco, CA — Sartle is a startup that grew out of a college thesis. 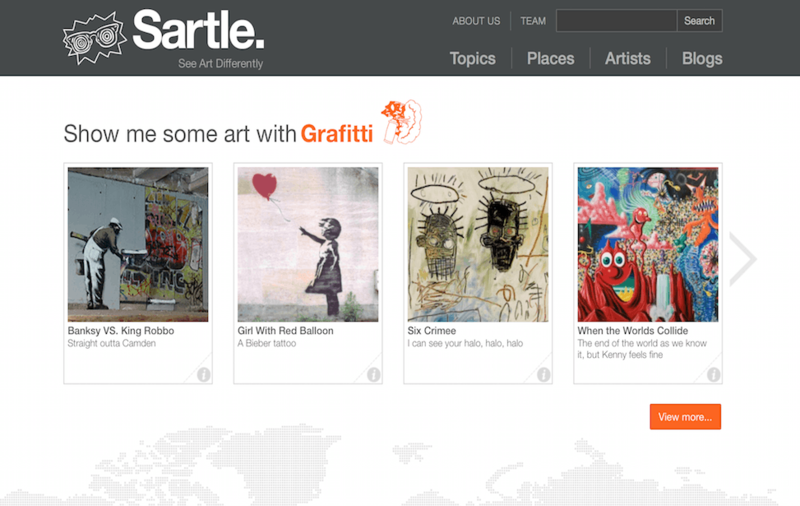 Sartle seeks to popularize classic artwork by applying current day social media tools. To start, FileMaker was used to catalog Artwork, Artist and Museum data which then became the backbone of the online system. Modules for allowing online Reviews were added. A web designer was added to give that cutting edge look. The FileMaker system succeeded in building both a prototype plus a fully functional production system until funding provided the means to migrate to a MySQL backend.